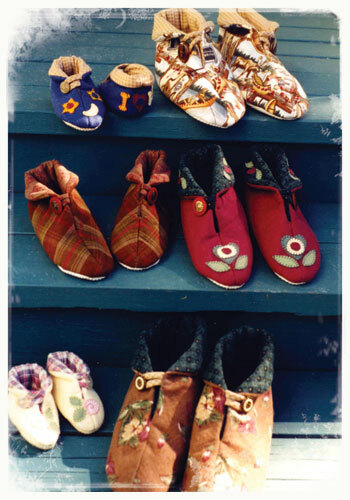 Warm, comfy slippers to fit the whole family...from baby to grandpa. Ten sizes are included in this quick and easy pattern! Do them in felt or flannel - instructions are included for felt trim!